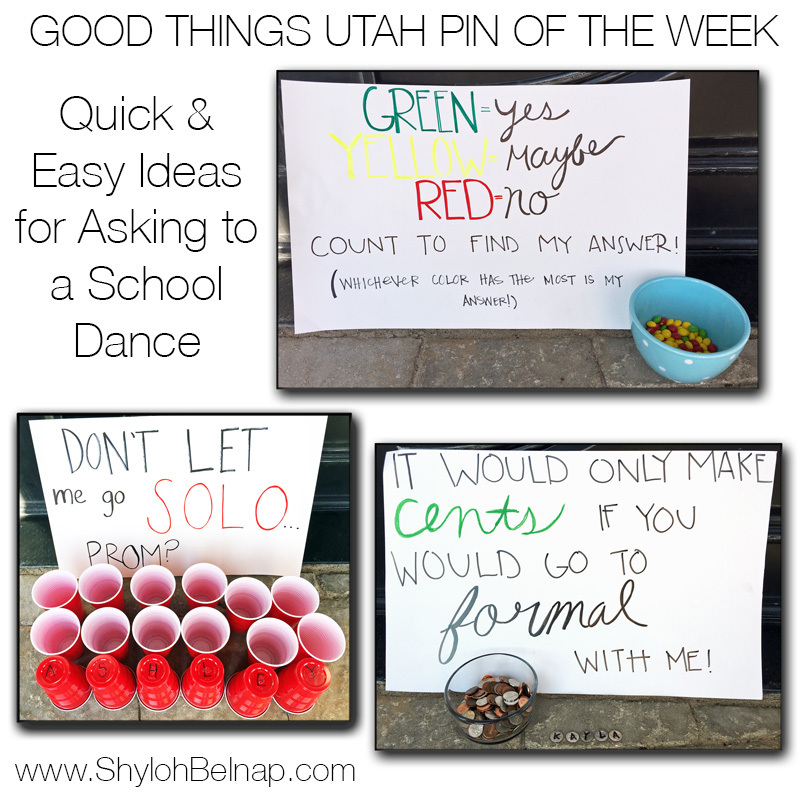 Prom season is here, and the fun begins with asking and answering someone to a school dance! Here are three ideas that are quick and easy! 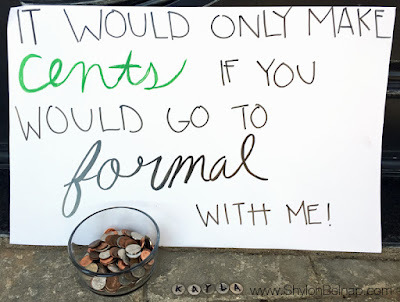 Write the quote on a poster, throw some change in a jar or bowl and hide your name in the change written on some coins. Write the quote on a poster, write your name on the bottom of some of the cups and mix them up with the other cups. You can use as many cups as you would like. 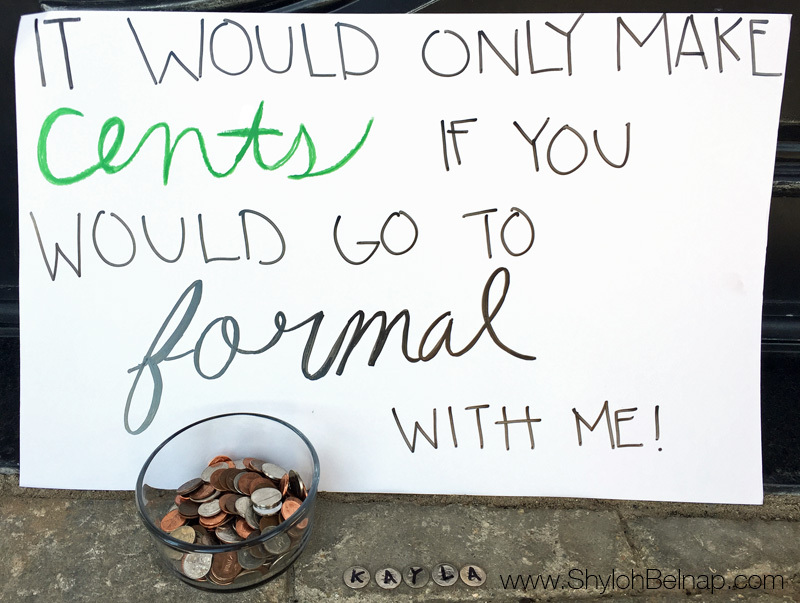 Fill their entire porch! 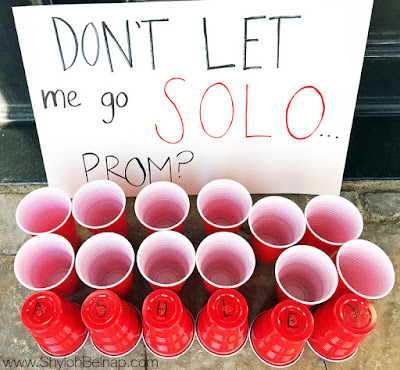 You could use this to answer with the quote “Will you end up SOLO at prom?” and then put yes or no under the cups. Put skittles or M&M’s in a bowl. Count out, so you have the most greens…. 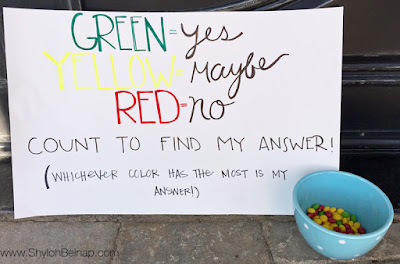 if you’re saying yes!